Product Description: Great hot rods and custom cars are featured in "looks-like-it-was-taken-yesterday" photographs from the 1960s. 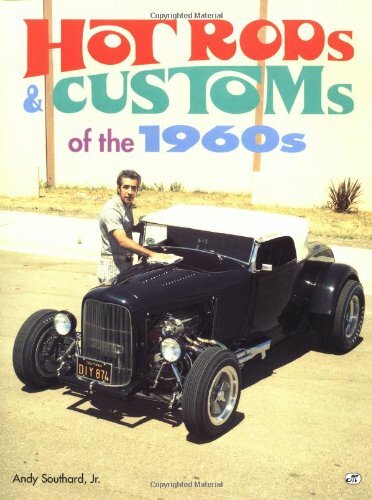 A follow-up book to his Custom Cars of the 1950s and Hot Rods of the 1950s, this book features beautiful color photos of wild cars modified in the "groovy" and"far out" trends of the 1960s. Filled with metalflake and chromed custom cars at shows, on the streets, and tire-smoking hot rods on the race tracks.